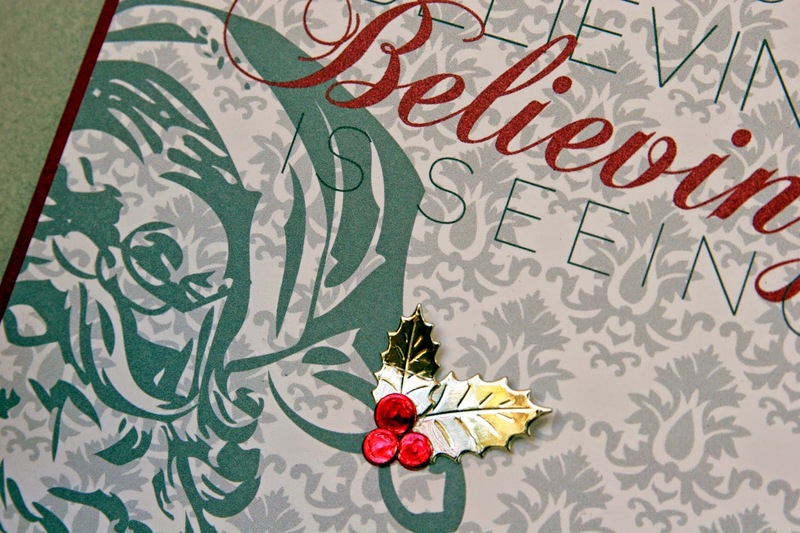 Liz's Paper Loft: MCT October Release Sneak Peek Day 2 ~ Believing Is Seeing! 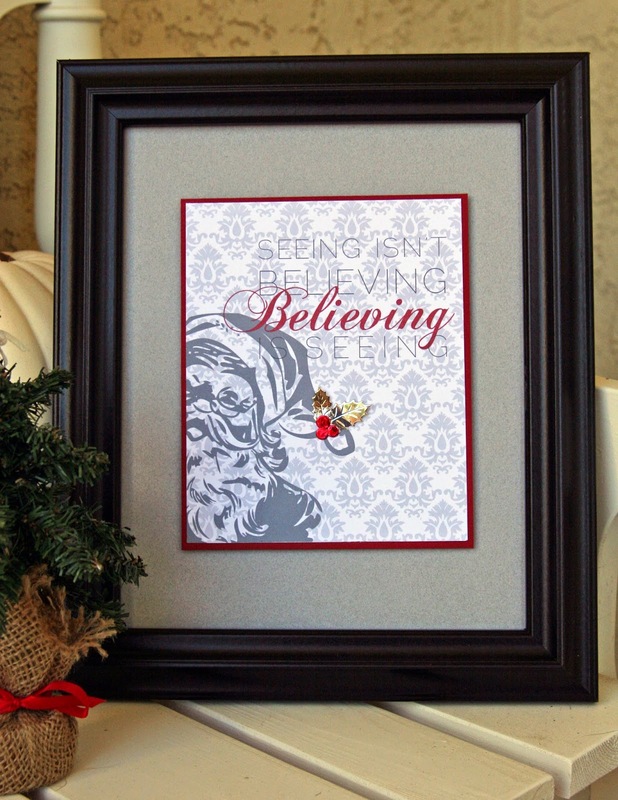 MCT October Release Sneak Peek Day 2 ~ Believing Is Seeing! Welcome to Day 2 of My Creative Time October Sneak Peeks! Didn't you love all the projects from yesterday! These girls just totally blew me away with their creativity! While on Pinterest I found this fun Santa printable. As soon as I saw it, I knew I wanted to embellish it with the holly and berry dies! The chrome paper is perfect for this picture, however I didn't have any red metallic paper. So I grabbed my red copic marker and colored it! Perfect! I love how easy you can take a beautiful printable and make it your own with a few dies! WOW Miss Liz What a fabulous idea gosh you really did come up with such a creative idea I too love the look. This would make a great gift too. Love your total look and how you used today Sneak Peek. Just fabulous!! This is so cool the way you did the Santa on this card. Liz ` Oh my word this is so BEAUTIFUL! I LVOE this idea ~ and you are so right ~ just a few dies and you made this your own! LOVE it! I need this paper ~ EEK!!!!! OMG!!! This is AWESOME. Love the printable, the colors and how the holly gives it the PERFECT touch. I want to make one too. Lovely idea. 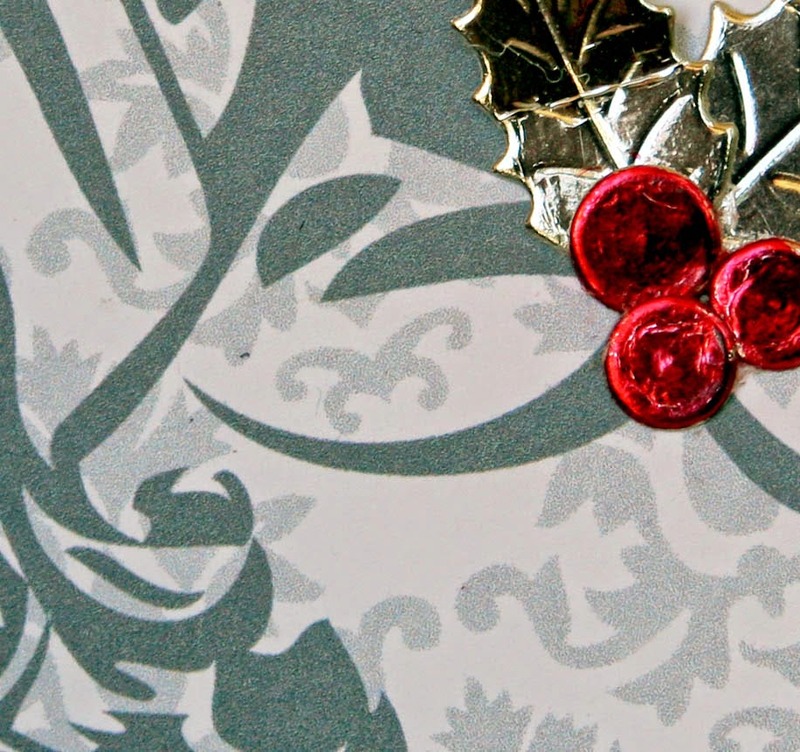 I love how you added some holly bling to the jolly sant a printable. This is so cool! Very festive! Thanks for the inspiration! Beautiful Home Decor piece Liz! What a fantastic gift idea to! Love, love, love Home Décor projects and this one is so very easy to accomplish. Thanks for some wonderful inspiration on embellishing a printable so beautifully. What a great holiday look. Love it. Thanks for the printable link! Oh, this is very classy!! You did a WONDERFUL JOB (as always)! WOW!! I haven't gotten into printables but your's makes me think it might be something to look into. The picture is beautiful and will make a great addition to your Christmas decorations. Great way to dress up the printable! TFS! What a great idea-very beautiful! So cool! great idea and your holly and berries and your red Believing really make it pop! Great idea to make it your own! The holly & berries added the perfect touch! Love this idea. Like the CAS look and cute touch of holly. Awesome idea and it's just stunning!!! Thank you for such a great idea!!! What a fabulous home decor piece! Beautiful! Hugs! Outstanding home decor project! Perfect hostess gift! Love your creativity! WOW this is amazing. Thanks for sharing. No doubt! I will be copying this! What a great picture to frame for my grandprince and grandprincess! I love how you made it pop! Stunning Santa decor- thise die cut gold leaves and red berries are so eye catching. Beautiful framed work...you have a great knack for arranging and using just the right colors and embellishments. I like how the leaves and berries add a little sparkle and clever to think to use a marker for the red foil. Wonderful job! WOW Liz I love this, totally awesome!! This is AMAZING!!!! WOW I LOVE this idea!!!!!! PK Trendspotting ~ Aqua and Glitz! MCT Inspiration Wednesday ~ A treat just for you! MCT October Release Blog Hop ~ Follow Your Heart! MCT October Sneak Peek Day 1 ~ With Sympathy! MCT Thrifty Thursday ~ Just Hitched! PKS ~ October Release Facebook Hop! PKS October Color Challenge ~ Thankful for you! MCT Inspire Me ~ Give Thanks! PKS Face Day ~ Beware! MCT Scrapping The Little Things ~ Friends! Online Card Class Copics ~ Need A Hug? Baby Shower ~ Mommy To Bee! MCT Trending Now Thursday ~ grateful for you!